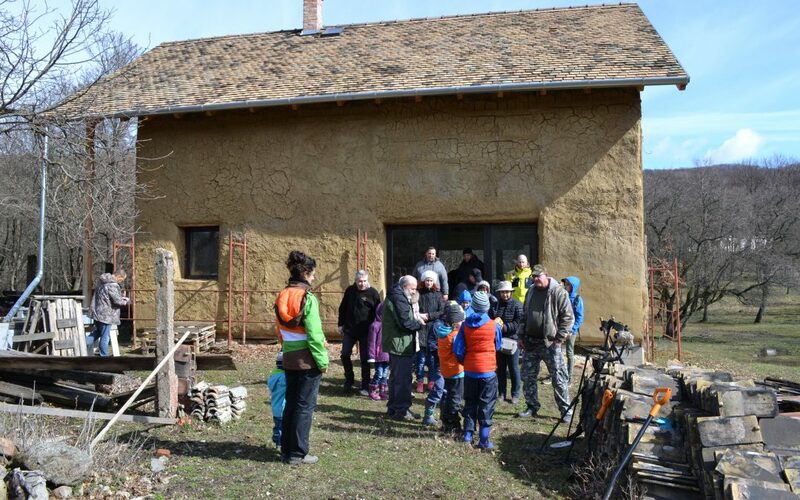 Making the most of the spring weather, the OpenHeritage team from the Central European University organised one of its first events at the Pomáz-Nagykovácsi heritage site on 19 March 2019. The event was aimed to involve both locals and professionals, realising the site’s vision to use it as a meeting point of various groups who can discuss their understanding of the site’s heritage values with each other. Members of the Pomáz NGO “Action Group of Szent István Sqare” (SZITA) as well as members of the community archaeology project of the Pest County Museum, metal detectorist volunteers, were the participants of the event. For the group of metal detectorists, this was an opportunity to share their knowledge and understanding of archaeological heritage with the locals and to see it through the eyes of the interested public. They could also experience how valuable knowledge can be passed on to children – even such a complex one as metal detecting, which involves knowledge in archaeology, geo-physics, legal studies, and environmental studies. After a brief presentation of the historical landscape, the participants visited the small exhibition co-created in the previous years with students of the Cultural Heritage Studies Program at CEU and of the Moholy Nagy Design University, which presented their interpretation of the heritage site. Then the metal detectorists explained the details of their work and cooperation with the museum. After this, members of the SZITA group joined the metal detectorists in small groups to see how the equipment works, and they could try using it themselves. The participants of the event also had an opportunity to visit the archaeological ruins and the animals in the farm as well as enjoyed the bio-products available in the farm shop.